This is your chance to involve your business-relations to all the exciting stuff that’s going on at the Marineterrein. Here you find the invitation to Marineterrein Live ‘New Year Celebration’ on Thursday 31 January. Feel free to forward this invitation to interesting parties, but don’t wait too long since we can only host a limited number of people. You and your colleagues are invited to join the first community get-together of the new year on January 17th, hosted by AMS Institute. 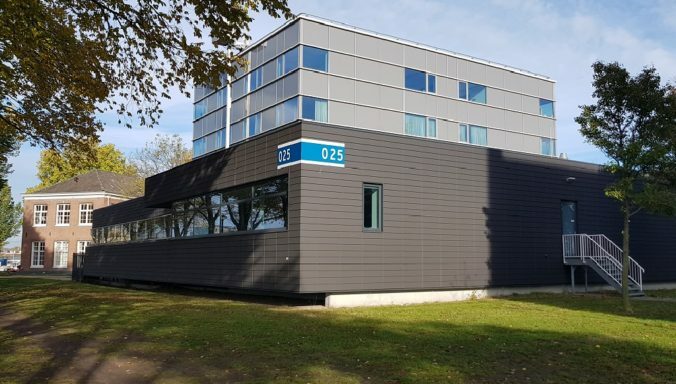 During the program, you can learn about some of the fascinating projects that people at AMS Institute are working on and you will get a tour of their new building and the Roboat Expo. Furthermore, there is room for the latest news* about the Marineterrein and its community. *Do you have news to share too? Contact jacqueline@marineterrein.nl. The annual World War 2-ceremony at the memorial sign (Voorwerf), takes place on Saturday, December 15 between 12.30 and 13.00 hours. The memorial commemorates 142 students of the former sea scouts (‘Kweekschool voor de Zeevaart’) that were killed during the Second World War. Approximately 50-100 people are expected. The (car) spaces around the monument itself will be fenced off as of the day before. XRBase, that is managing the Green Screen studio, is very interested in a shared model for covering the rent for the studio, to benefit all at the Marineterrein. 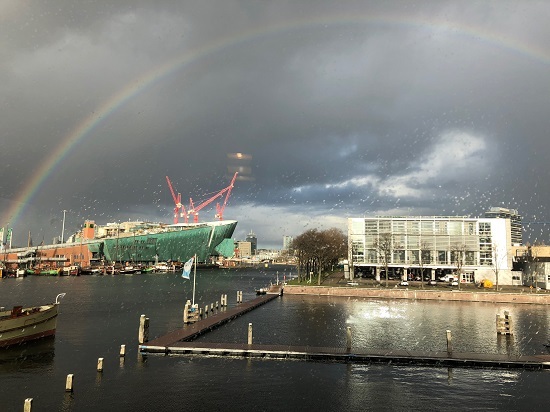 To show some of the possibilities, the community of the Marineterrein is invited to have a look at the Volumetric Video setup on Friday, November 23 from 16.00. Volumetric video is an emerging format of video featuring moving images of real people that exist truly in 3D — like holograms — allowing them to be viewed from any angle at any moment in time. This setup is just one out of many use cases for the Green Screen Studio . 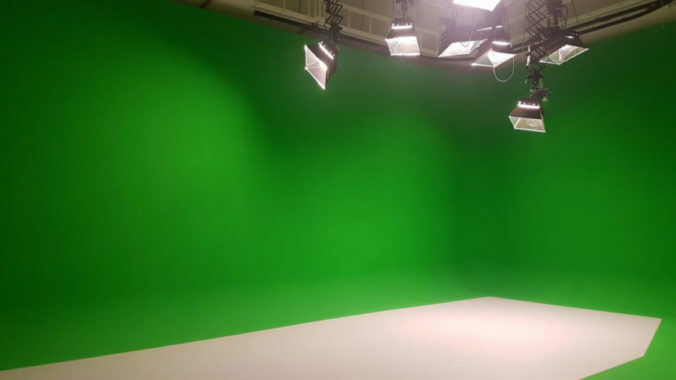 The Green Screen Studio is ideal for 360º productions/fotoshoots/promos. Heleen de Coninck is associate professor in innovation studies and sustainability at the Department of Environmental Science at Radboud University in Nijmegen. Debbie Reber is a parenting activist, New York Times bestselling author, and founder of TiLT Parenting. TiLT is a website, top podcast, and global community for parents raising neurologically atypical children. Laser 3.14 is a ‘Visual Poet’ who has been creating poetry on the streets for over 15 years. His distinctive work of visual poetry can be found around Amsterdam, some also in other cities and in galleries. More names will be announced during the next week. We will keep you posted on Slack. At the moment, we are investigating the future use of Building 025 as a Community Building. We need your input since the building will primarily be in use by the community of the Marineterrein. 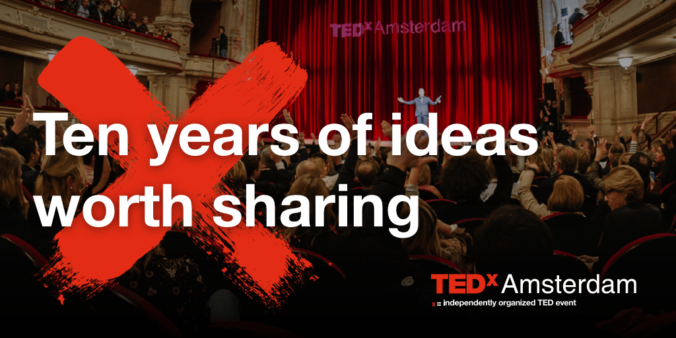 So, come and have a look at the place and leave your ideas and your plans for future use of the building with us on Thursday, November 29th anywhere from 10.00 to 17.00 in Building 025 – this is the large black building along Kade West – Furthermore, we will be live-streaming TedX-Amsterdam that is taking place that day, so stick around for a bit and get inspired! Note: early spring 2019 we expect to start refurbishing the space itself, together with the future manager of the place. On Friday November 2 at 17h the Graduation Show will open, presenting the graduation projects of students from the Masters in Architecture, Urbanism and Landscape Architecture. The exhibition will take place in the new workshop of the Amsterdam University of the Arts, located on the Marineterrein. On Saturday 3 November, alumni Philomene van der Vliet and Jan Maas (BOOM Landscape) will deliver the annual Kromhout Lecture. During the finissage of the exhibition, Sunday 4 November, the nominations for ArchiprixNL will be announced by jury chair and director of the Academy, Madeleine Maaskant. Daan Roggeveen, the visiting critic, will reflect on the graduation projects 2017-2018. The audience award for best graduation project will also be presented. The theme of the Graduation Show, curated by Bruno Vermeersch and Michiel Zegers, is Waste No More. They draw attention to the richness of scale models, sketches and other materials that often get lost during the design process. Friday, November 2, 17 – 22h. 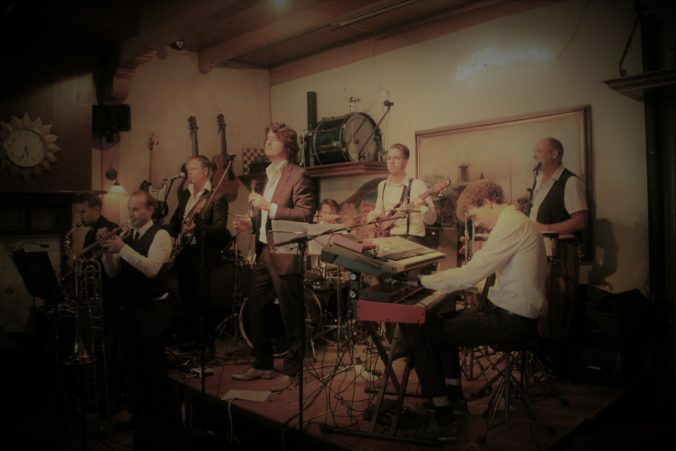 Saturday, November 3, 12 – 20h. Sunday, November 4, 12 – 19h. 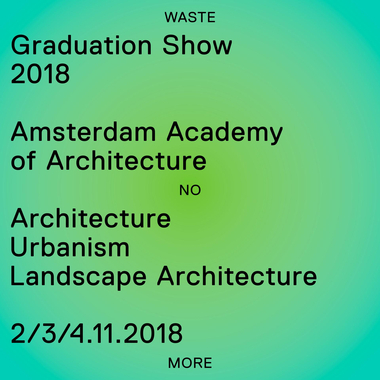 Please note that the Graduation Show will NOT take place at the Academy of Architecture, but in the new workshop of the Amsterdam University of the Arts, located on the Marineterrein. The Marineterrein is closed to the public and traffic on Sunday, November 18th, until 1.30 PM due to the arrival of Sinterklaas. You can read more about this happening here. If you want to go to your office that day, you will need a permit. You can apply for a permit by filling in this form. 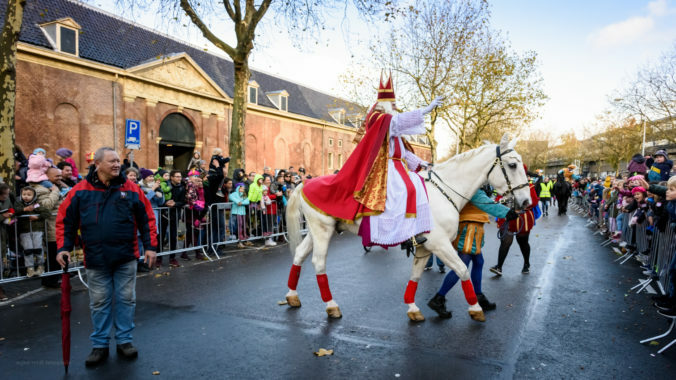 If you want to greet Sinterklaas with your kids, follow this link.